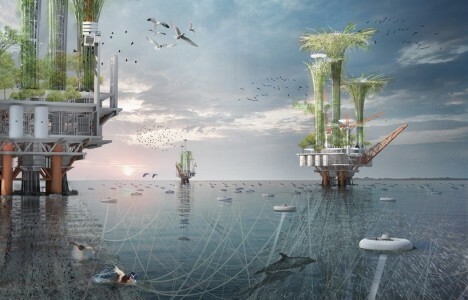 Thousands of decommissioned oil rigs rotting in waters all over the globe could get a new sense of purpose as diving resorts, cruise ship port-of-calls, recreation destinations, bio-habitats or even autonomous micro-nations. 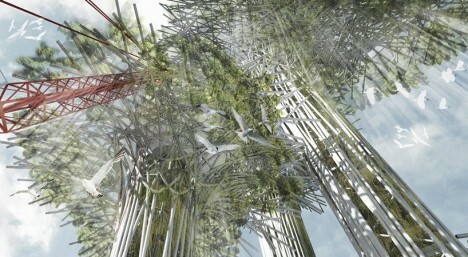 Some of these concepts tow the rigs to more desirable locations – including right up to the shores of major cities. 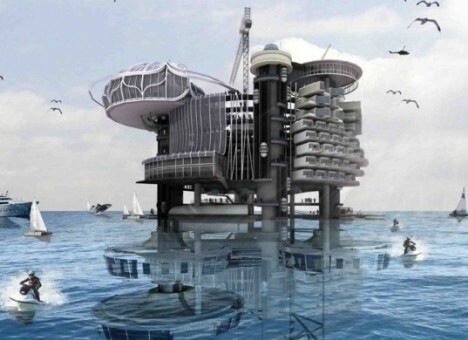 As sea levels approach catastrophic levels, some see reclaimed oil rig architecture and other floating structures as the only viable way to survive, but they’re also a great way to take advantage of beautiful oceanic settings. 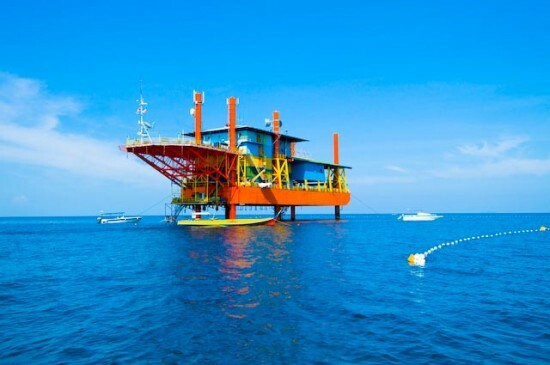 Here’s one concrete, finished example of an oil rig transformed for a new use: the Seaventures Dive Resort in the Celebes Sea between the Philippines, Borneo and Indonesia offers access to a beautiful coral reef, making it a popular spot for divers. 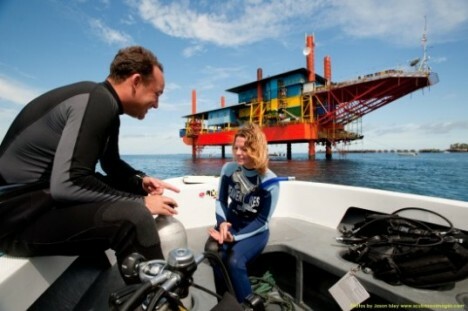 The owners purchased the rig in 1988 and towed it to its current location to take advantage of the natural attractions. 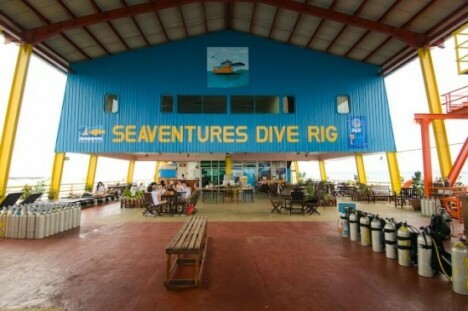 The 25-room hotel retains its industrial feel, making no attempt to be luxurious, and offers package deals that include meals, dives, equipment rentals and boat transportation. 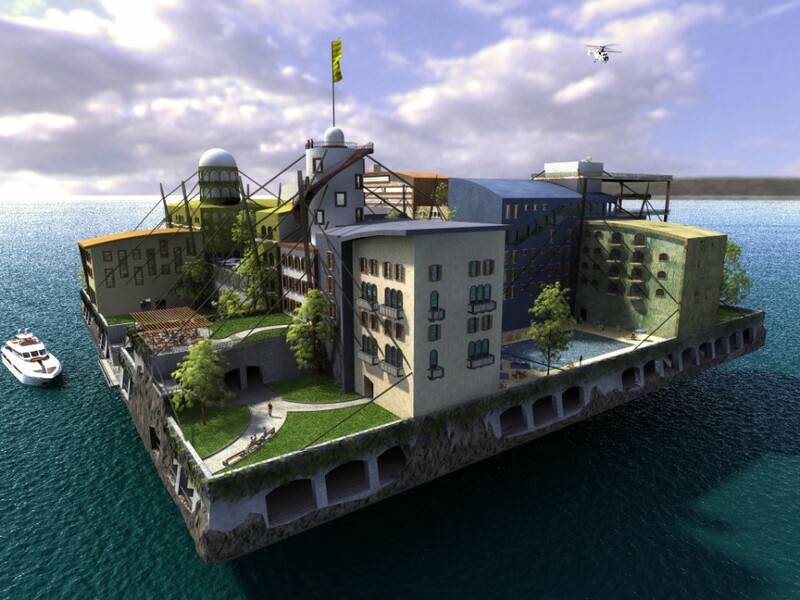 The minimalist approach definitely works for a small hotel, but what if we wanted to turn an old oil rig into an attractive community that rivals any found on land? 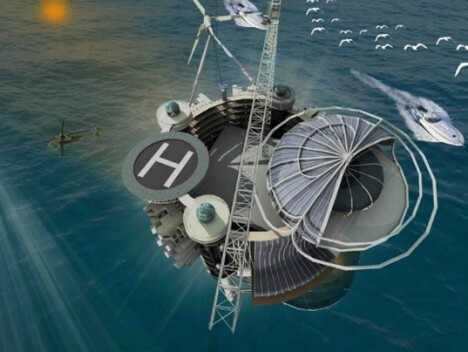 This proposal uses a rig as the basis of a ‘livable hub’ powered by solar energy, wind turbines and tidal energy collectors. 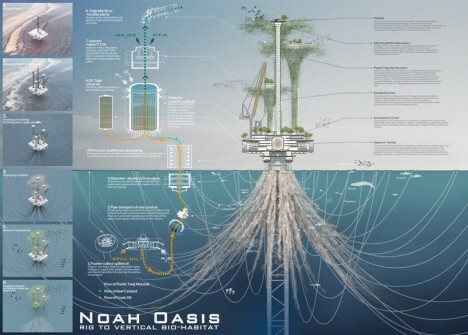 The general public would live in the units located above the surface, while specialized researchers like marine biologists could work in underwater labs.